Many people consider trail cameras to be simple devices with which allow us to capture photos of deer, by strapping a trail camera to a tree and walking away. However, this really doesn’t take advantage of the technology built into today’s high-tech trail cameras. If you’re ready to purchase your first trail camera or you’re thinking about replacing or supplementing your existing camera lineup, what points should you consider? A megapixel is one-million pixels, and the higher the count, the higher resolution your images are. Closer objects will look amazing and you’ll be able to enlarge photos without losing clarity to see distant objects much better. A faster trigger speed can mean the difference between capturing a stunning stag full on and crystal clear, and just it’s furry bottom; a speed of .3-second is a good speed to aim for. Recovery is how quickly a camera can store the first picture and be ready for a second photo. 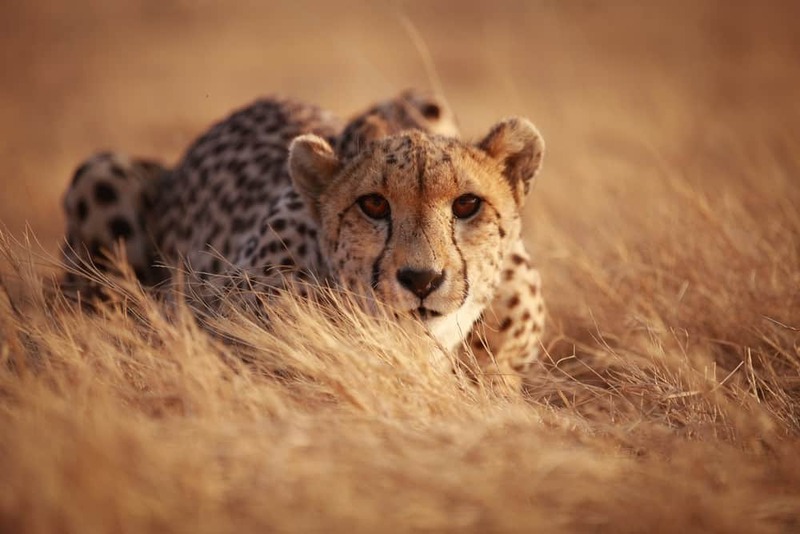 It’s helpful if the camera you’re considering has a large detection zone in order to capture an animal anywhere near your camera traps. The two factors which determine the detection zone are width and range. The best cameras offer about 100 feet in daylight, with a slight reduction in distance at night. When choosing a trail camera, the brighter the flash the more chance of spooking your chosen target. The best trail cameras offer infrared LEDs, thus avoiding any scary flashes. Most trail cameras offer some type of burst mode, allowing a series of images to be taken in rapid succession as soon as the camera is triggered. A burst of 1-9 images is the standard. 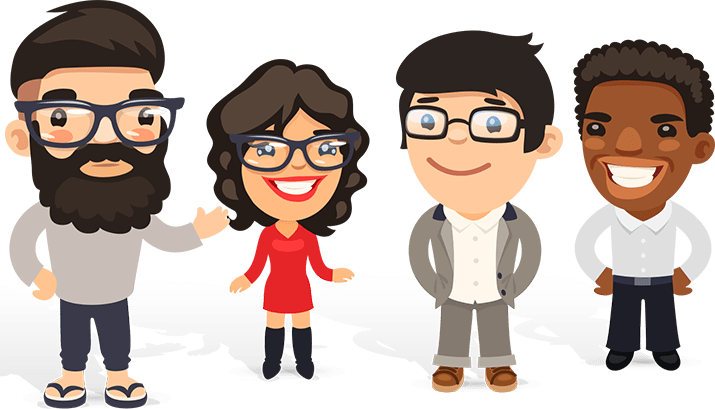 Other features can be included, such as time lapse modes, or the ability to review your images on your camera, it all depends on your requirements. So, we’re heading out of the office and into the wilds to see what we can capture, as we review the best-selling trail cameras. This neat high tech trail camera from Starlike is robust, resistant to rain, dust and dropping, and can withstand a wide range of temperatures from -20-70℃. 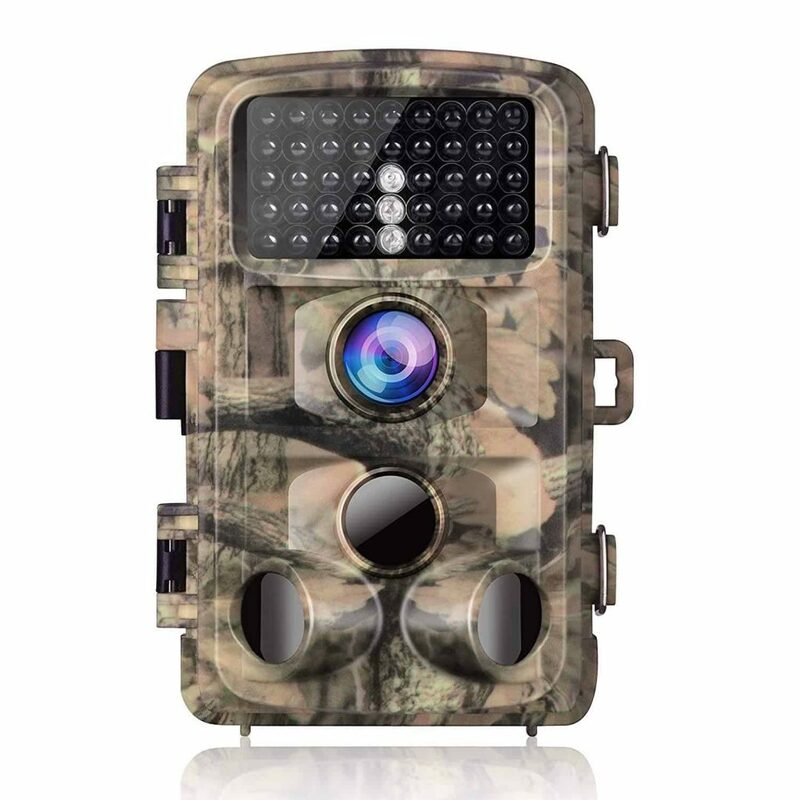 Featuring an impressive shutter speed of .3, a wide detection zone, and invisible-light technology, allowing you to capture wildlife without spooking it. This camera feels heavy duty, but is small and light enough to pack easily. The picture quality is excellent, both in daylight and at night, and the option to review the photos on the camera, while you’re in the field, is a great idea. It can also record audio, has a very user friendly interface and great battery life. It would be nice to have a hard lens cap, but this isn’t a deal breaker for us. Purchasing your first trail camera, or adding to your collection, this is awesome. Jam packed with useful features, this camera is easy to recommend. 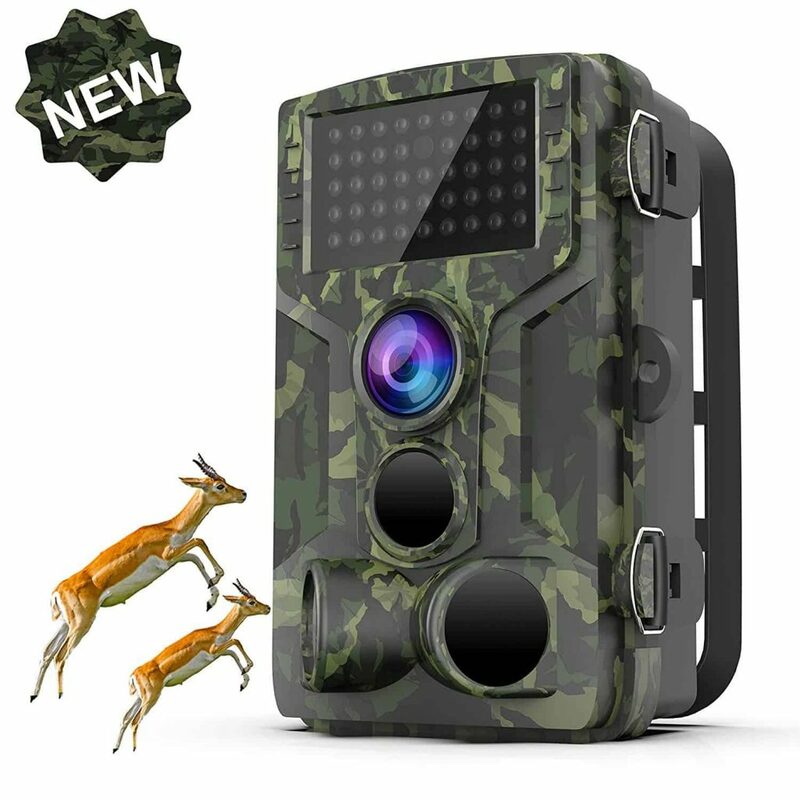 With high resolution 14 megapixel images, a .3 trigger speed, and a 120° wide angle lens, this sturdy, well designed trail camera has a lot of in-built features, including infrared for awesome night time shoots, impressive sensitivity, and a easy-to-follow interface. Despite a whole heap of features, this camera from Campark is incredibly simple to use, and not overwhelming like some cameras can be. The images are crisp and clear, while the videos scroll smoothly, capturing every move with the super fast trigger and recovery speed. The battery lasts well, too. The SD card can be a little tricky to remove, but we found tweezers rectified that easily. A budget friendly price, and lots of useful and superior features make this camera definitely one to consider. 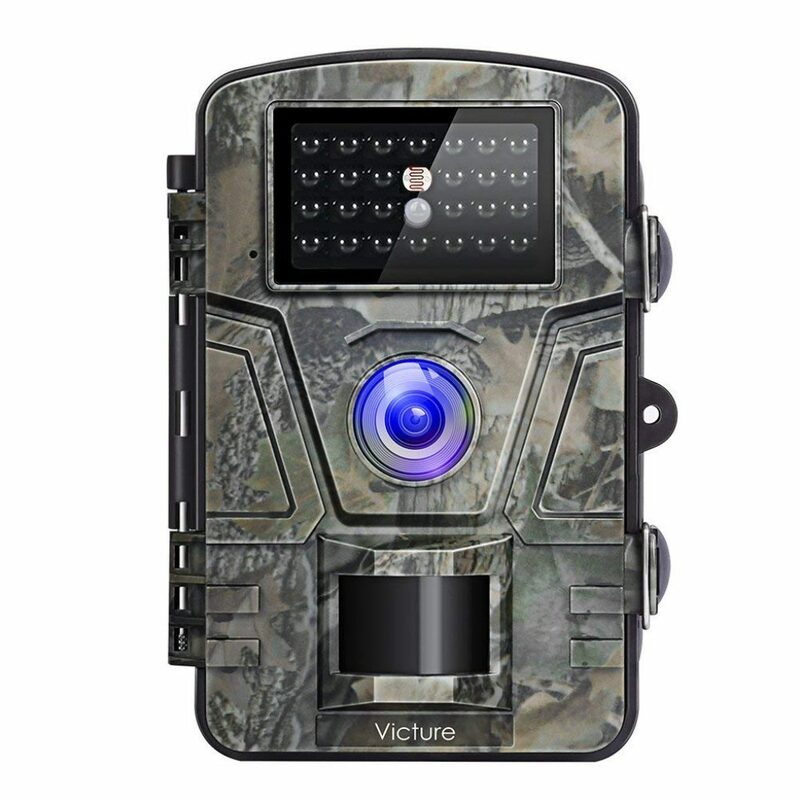 Victure’s addition to the trail camera market uses 12mp to create crisp, clear images, has a .5s trigger speed and infrared technology. With 3 modes, you can choose your video/image sequencing. It has the option to time stamp photos, has time lapse and is fully waterproof. Arriving with an adjustable bracket allowing the camera to be fixed to a tree, Victure’s camera is robust and compact, waterproof and has the always useful password protection. The images are impressive, even at night, and the motion detection is instant. We love the time lapse feature, having great fun playing with it – in the interests of research, obviously. The instructions take some working out, luckily the on-board instructions are much clearer. If you’re looking for a great trail camera with the ability to take time lapse shots, infrared and a near instant trigger/recover speeds, this is it. HIGH RESOLUTION -- High quality Photos of 12MP and videos of 1080P, providing a clear and wonderful visual experience. Photos captured in daytime are colorful and are black and white at night. LIGHTENING TRIGGER TIME -- 0.5s lightening trigger time make it more sensitively activated by small motion caused by animals or people without missing any breath-breaking moments. Even activities of animals like mice and squirrels can be captured at night.